I’ve kept a skeptical eye on cryptocurrencies since Bitcoin became a thing, waiting to see what regulators and the market would say before diving in head first myself. While we may be years away from realizing its full potential, with a market capitalization approaching $100 billion, there’s too much traction not to take a closer look. 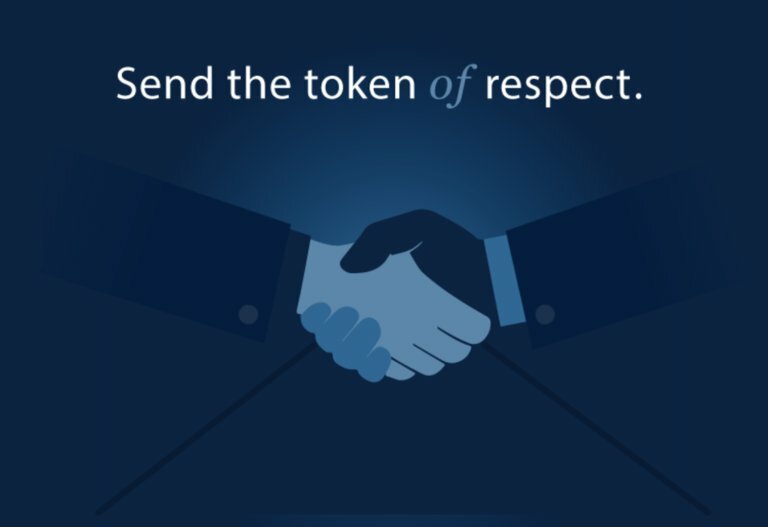 Over the course of the past year, blockchain technology has surfaced for a myriad of business applications and new companies are being financed daily through the creation of their own tokens offered via “initial coin offerings” or ICOs, cutting out traditional venture funding methods as savvy VCs like Tim Draper embrace it wholeheartedly, lest they become irrelevant in this new economic frontier. It’s the confidence of people like Tim and commitments by institutions like Nasdaq to create the New York Interactive Advertising Exchange that give me confidence in our blockchain future, which it appears will have as far-reaching implications as the web did two decades ago. For my part I’m focused on how blockchain might improve decades-old processes in marketing and advertising and create new ways to exchange value for attention and engagement — the only things that truly matter in marketing. So far, the Basic Attention Token and its companion Brave Browser have captured the most attention. More recently, MetaX introduced adChain, an open protocol on the Ethereum blockchain that gives buyers a scalable, trustworthy way to track and impressions and publishers the ability to capture the full value of their content and attract premium ad spend. Both hold great promise for delivering a more transparent advertising technology ecosystem currently wrought with fraud and malware. MadHive, is a blockchain-based video advertising and data platform that allows both brands and publishers to measure customer intent data and build audiences across screens and platforms. 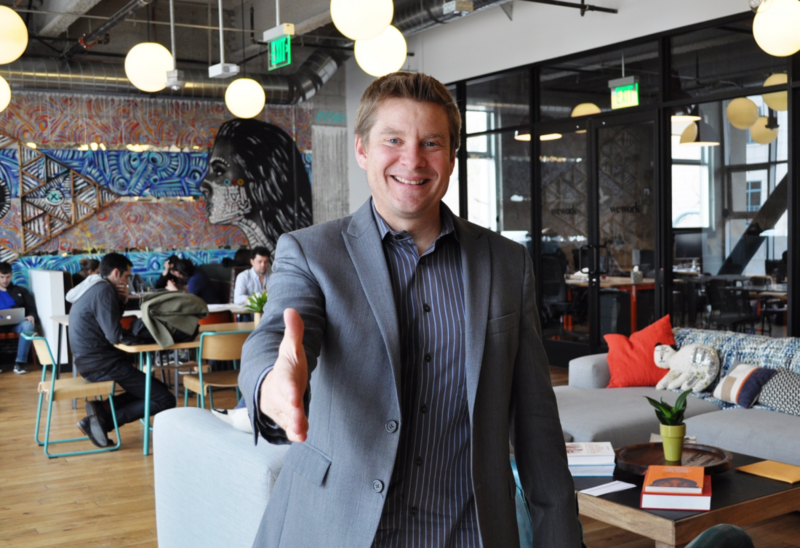 The newest marketing entrant, BitBounce, seeks to solve issues around spam and email access. Its Credo token, which is being offered in an ICO starting on July 17, can be used to pay a small fee to guarantee an email gets through to its intended recipient. While other companies have tackled the issue, and spam filters have mostly eliminated it altogether, there are several other use cases to consider around making a market for email (e.g. paying consumers for their attention, allowing people to pay for access to celebrities, etc.). And while Credo may be starting in email, it has just as much a chance as BAT or adChain to become the de facto currency for advertising. Many believe blockchain is as important as the HTTP protocol, and it certainly feels a lot like 1993, when the market woke up to the promise it held for everything. Like then, there is lots of excitement and speculation for a brave new global economic future built on security, efficiency, transparency — not to mention, the potential for enterprising minds to make a whole lot of money. 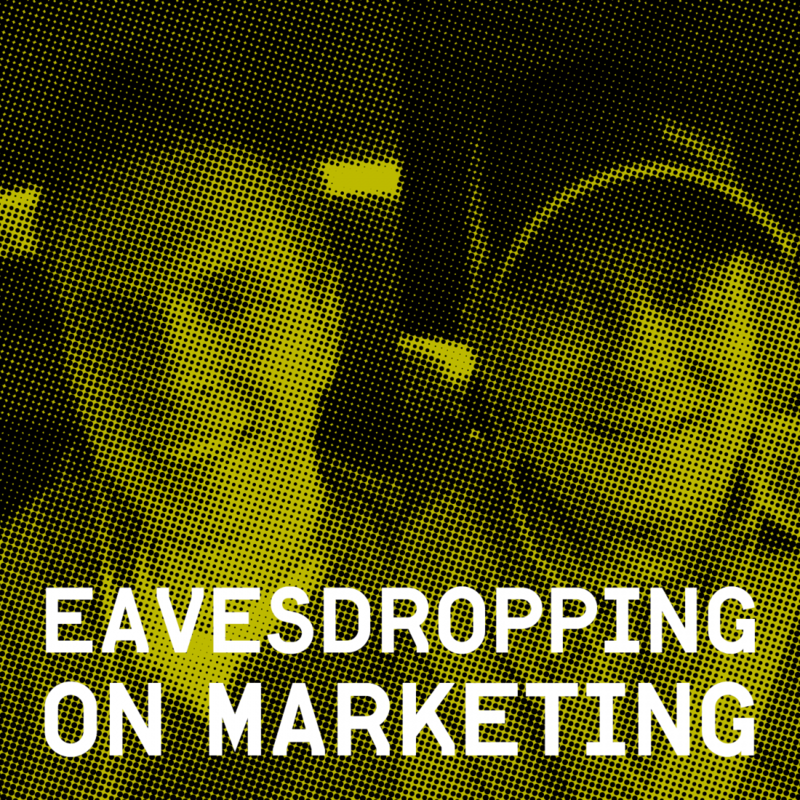 Necessity is the mother of all invention, so it shouldn’t surprise me much that the “Eavesdropping On Marketing” podcast took form so quickly once we committed ourselves to recording our conversations. In fact, it should have come along much sooner. The idea is simple: listen in as two colleagues talk frankly about our day-to-day marketing challenges, many of which we believe are shared by marketers everywhere. For years, my friend and longtime colleague, Joergen Aaboe and I have helped each other along. From the time he worked with me at ValueClick and in the years that followed, we’ve had countless long chats about our respective marketing endeavors, often speaking from our cars on the long commute from the Conejo Valley to Santa Monica. There was no podcast to speak of then, just two guys doing the best they could to promote our respective technology startups and helping each other along. A typical conversation would start with, “Hey I need to warm something up.” What followed would vary widely, from tactical, to strategic to the downright silly, but we could always count on each other to serve as a constructive (and sometimes harsh) critic while serving as a sounding board for whatever was going on for us professionally. Now, some 15 years into our relationship, we’re still calling each other to “warm something up” or to “break down” an industry topic, only this time we’re recording and posting it online for all to hear. Nothing overly produced — in fact it is decidedly *not* produced, which we think may give it some charm. It likely won’t be interesting to most, but for those who may benefit from listening in on two senior marketers chatting about the very real day-to-day practice of B2B marketing, boy have we got a show for you! 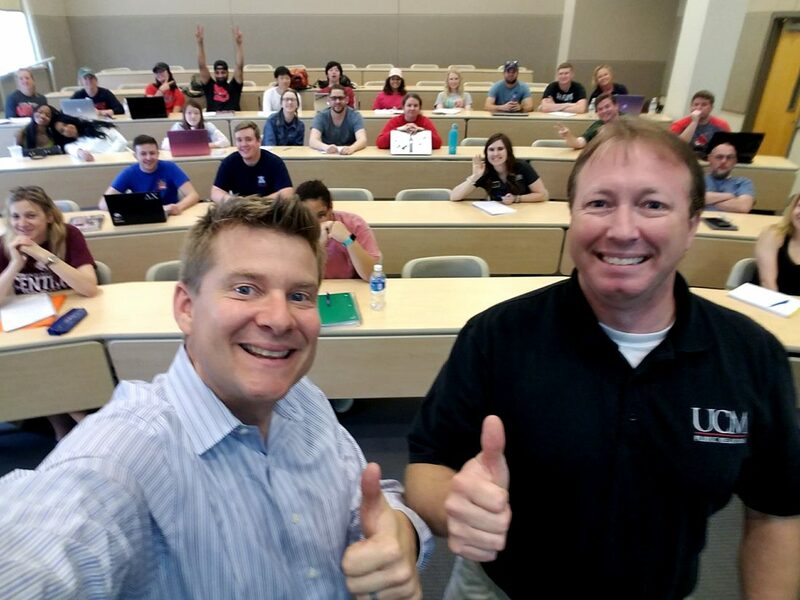 I’m proud that Joergen and I are still helping each other along after all this time, and I hope our conversations will benefit some entrepreneur, student, CEO or fellow marketing colleague who can learn from our experience, including the mistakes we’ve made and the accomplishments of which we’re most proud. So, if you think you might find value in being a fly on the wall of our conversations, I invite you to please subscribe to “Eavesdropping on Marketing” and to let us know what you think about our perspective from the trenches of B2B marketing in 2017 and beyond. Head to iTunes or Libsyn to hear our podcast. Got a similar lesson to share? I’d love to hear about it. Hi, my name is Tony Winders. I’m a marketing expert. I’m also a master networker, content producer, aspiring entrepreneur, amateur musician, family man, good friend and an infinitely curious student of the world. 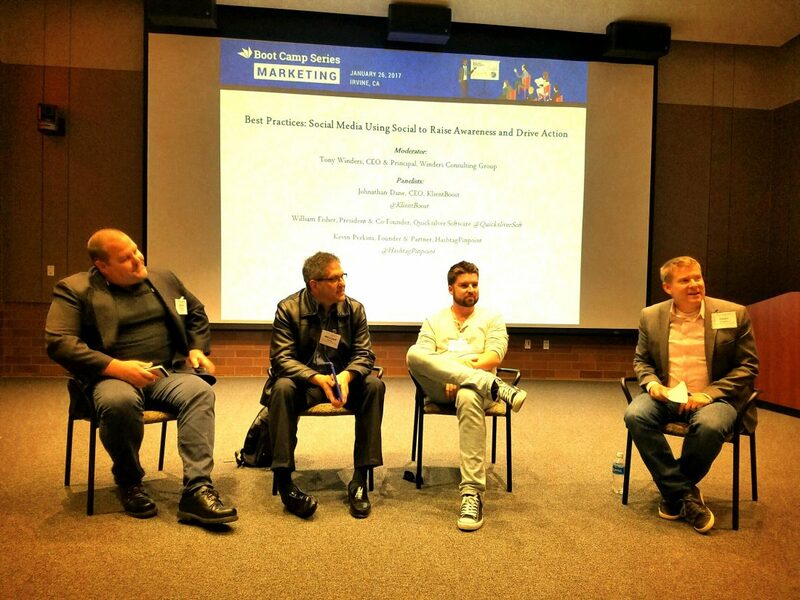 I am currently CMO and Principal Consultant at Winders Consulting Group, a B2B content marketing firm. I’m also the co-founder of Pepper Bandits, LLC, which makes the foods you love spicier. Over the past 15 years, I’ve met thousands of media, marketing and advertising technology professionals through my work on the management teams of Search123, ValueClick Media and GumGum. Go back a few more years to the dot-com era, and there are thousands more from when I was co-founder iAgency. Yet, for all of the amazing people I’ve met, I can do a better job of keeping in touch and explaining what I do and the value I’ve added to the hundreds of organizations I’ve served. All that changes today. I recently updated my site to reflect my focus in 2017 and beyond. Browse around you’ll see I’ve weaved together the things I’m most passionate about alongside my marketing consulting practice. Why combine work and personal interests? Besides being an authentic expression of what I’m up, they’re actually quite interdependent and support each other in unique ways. Marketer – Winders Consulting Group provides B2B marketing leadership and services for all sizes and types of companies. I’m proud to include Adadyn, Brand Innovators, Dstillery, FinditParts, GumGum, inPowered, Jetpack, K2 Teams and Noble Profit among the clients we’ve served over the past two years. Whether standing in as CMO-for-hire, providing consulting services or building teams to execute full-scale marketing campaigns, we’re leveraging my experience and the expertise of a deep bench of talented marketing professionals to deliver a wide range of integrated programs and solutions. Can we work together? Let me know. Entrepreneur – There have been a few times in my career when an idea was so good I couldn’t look back and say I didn’t try. That’s how I felt about iAgency, and that has been the case with my wife’s recipe and an untapped market opportunity that led us to create a new spicy food company, Pepper Bandits, LLC. Our first product is Fuegorita, a dry hot pepper blend — think crushed red pepper but a lot hotter! I’m enjoying putting my marketing skills to work for a business I own and this year we’ll introduce new products and open retail and restaurant channels. Are you connected to the food industry? Let’s talk! Love spicy food? Please buy a bottle! Connector – If you’ve ever received an email from me that ends with “good networking,” then you’ve experienced my passion for connecting people who can help each other along. I take a lot of pride in my networking skills, and in many ways it’s my stock in trade which clients appreciate because they know I’m usually only a click away from someone who can help achieve whatever the task at hand. In 2017 I’ll be producing marketing meetups, speaking at conferences and hosting private networking dinners in different cities and at key industry events. Along with my partners, we’re currently programming a lineup of LA AdTech events and working toward the 10th Annual Digital Family Reunion in Los Angeles this December. Want to connect? Shoot me an email! A former client once said we spend the first 20 years of our careers building our networks and the next 20 leveraging them. I’m looking forward to reconnecting with my network this year and seeing what amazing opportunities we can spin up together. For my part, I plan to publish more content, teach more classes, mentor young professionals and intentionally grow a marketing organization that will help my clients and partners get more of the business they want. As I seek to do things a bit differently this year, I challenge you to do the same and to “put yourself out there” in unique ways that will lead you to accomplishing everything you want, both personally and professionally. I would enjoy the opportunity to identify mutually beneficial ways for us to work together. Please let me know what you’re up to so we can keep each other in mind as opportunities present themselves in the months and years ahead.